There’s nothing worse than watching your children suffer in pain. Migraines in teens and kids can come with a whole variety of symptoms. Knowing what to look for, how to communicate, and locating the proper resources is essential for their well being. 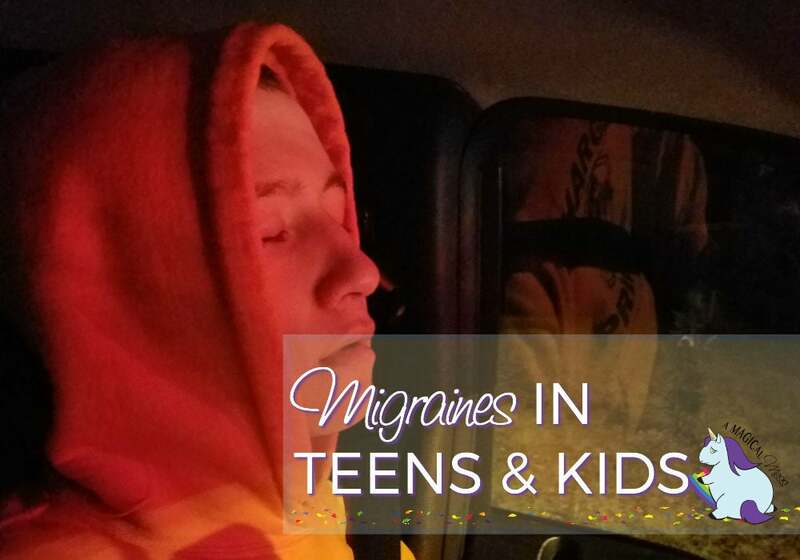 I had my first migraine headache when I was around twelve, and my fifteen-year-old son just had his first migraine or tension headache a couple of weeks ago. I’ve had life-changing success with the daith piercing for migraines, and while I have no idea if this would help adolescents, it might be worth discussing with your doctor. Thanks to the Diamond Headache Clinic, the oldest and largest headache center, I’ve got a great slideshow to share with you. Wow. I had never even heard of abdominal migraine before. The human body is so complex and interesting. It never ceases to amaze me how all our nerves intertwine and how we process and perceive pain. Now, let’s be super clear, aside from taking a few university level anatomy and physiology classes–while I loved every second and aced them all–I am not a doctor. Because kids and adolescents are still growing, a lot is still changing in their bodies–physically and chemically. It makes sense that their symptoms of migraine and other types of headache would manifest differently. Each of us is so unique. My migraines came with very specific signs that others may share or have no similarity. Any time your child changes behavior–starts sleeping more, eating more or less, looks groggy, or is acting ‘off,’ you should take note and talk to your doctor. Some of these behaviors are typical of growing teens. My son can sleep 20 hours a day and eat 16 meals in the 4 hours he manages to stay awake when he’s going through a growth spurt. But when he was wincing in his sleep from the pain in his head, I knew something was up. I’m not positive that he was experiencing a true migraine headache or a tension headache. We are going to discuss more with his doctor, but because of our family history, if he’s going to start having issues with migraines, being proactive is so important. Expressing feelings can be a struggle for adults. With kids, it can be almost impossible if they are in agony and don’t understand why. Depending on their age, it’s important to ask the right questions. Where is the pain? Have them point to it. Is it sharp? Constant? Throbbing? Does it hurt to look at the light? These and other questions will be asked by your doctor, and the proper treatment plan will be put into action. This might include medications, lifestyle changes, and/or further tests. Because I’ve had such excellent results with my ear piercing for migraines, I highly suggest talking about it with your doctor. Again, I have no idea if this could help children, but it’s definitely worth researching. If you are looking for more information or to find a doctor specializing in migraines in teens, visit the Diamond Headache Clinic online. Do you know of any teenagers suffering from migraines? Do they know about the migraine piercing? My daughter had a few migraines as a child and teen. I believe from stress in school. The headaches lessened as she got older. Good information. I’ve not heard of this treatment method before but it sounds effective. My daughter and I both get migraines occasionally so we are definitely interested in learning about treatments that work. This makes me glad I never had kids to worry about. Glad the piercing is helping you. These are important tips on what to look for in teens for migraine or other types of pain. Thank you. I had them and my daughter does too. I think ours is/was hormonal. They tend to be about the same time, and it is more migraine type and then peaks and goes away. I have only had a couple my entire life and they are no fun. I am glad you got some relief! I hate migraines and I hate them, even more, when it is one of my kids. My son got them when he was young like even before he became a teen. When he got them he would throw up and it always helped make him feel better. My daughter who will be 21 next month gets them once and a while and she gets sick too. I have them on a regular basis but for me, I don’t get sick just nausea. Thank you for all of the great tips. Migraines are the worst! I can’t imagine watching any of my kids have a migraine. These tips are really helpful should they ever experience one. After my daughter was born I seemed to have migraines all the time. I found finding a nice quiet and dark space helped some. My son has always had frequent headaches but thankfully only had a full blown migraine once. My husband had them as a teen and I really hope that it doesnt pass on to my kids! Both my kids have suffered with migraines. It’s not fun to see them suffer. 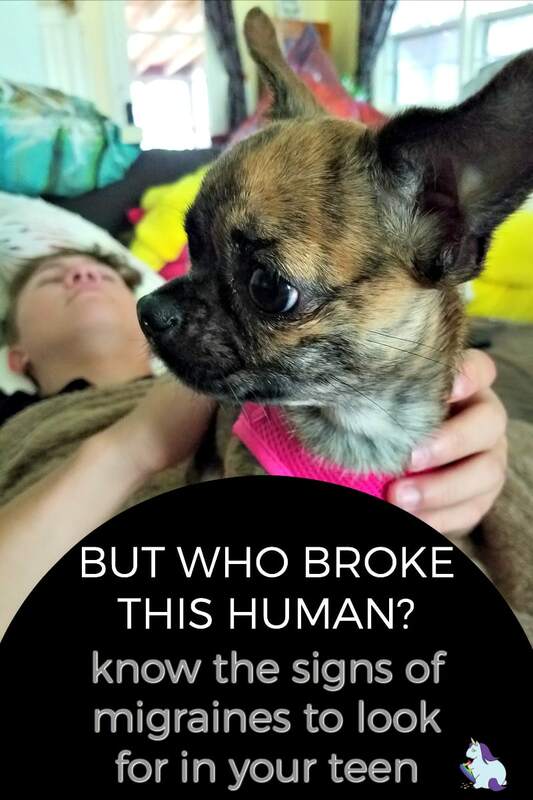 It’s important for parents to recognize the symptoms and get help for our kids. Thanks for the information you’ve shared.